When you’ve been sewing a little while, you start to realise that the vast majority of clothes are made in a very similar way. 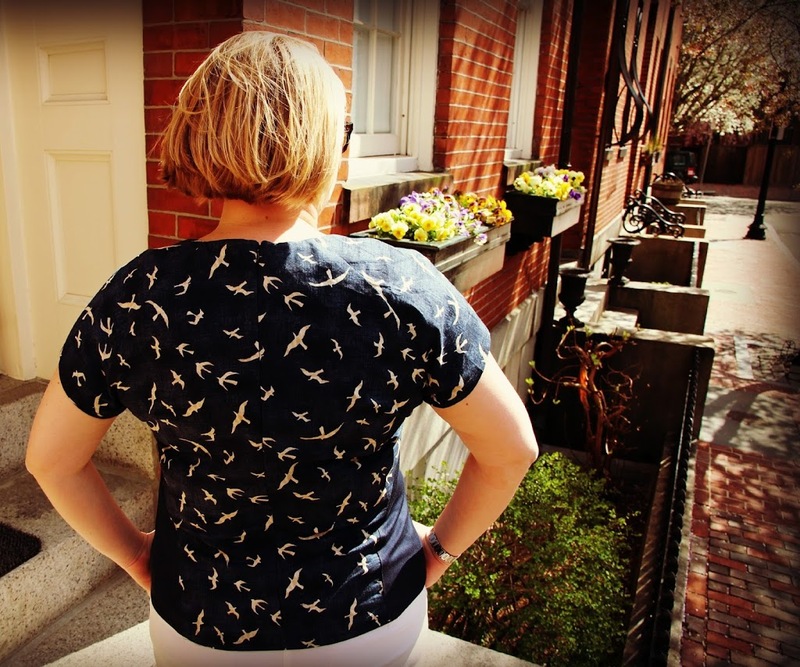 You can recognise a top pattern straight away, and make it up without instructions (darts, shoulder seams, finish the neckline, side seams, finish the armholes, hem…). In some ways this is really cool, because you can get really fast and start to do fun adaptations. In other ways, it’s a little boring. AND THEN ALONG CAME THE SEAMSTER DANDELION PATTERN. Yet again, I’m late on this one, but let’s just say when I got the Dandelion pattern from Mari at Seamster Patterns as part of Sewing Indie Month, I was bedazzled. Folks, this is made like no top you’ve ever seen before. And then you see the instructions! *BOOM* Brain meltdown. There’s no arguing about it: the Dandelion top is crazily innovative. The main thing to note is that there is basically no side seam. 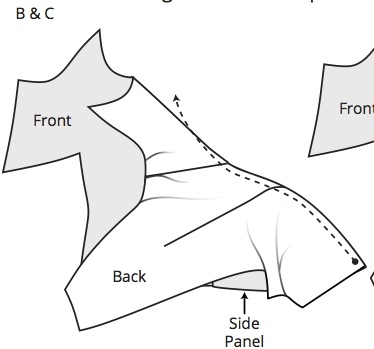 Instead, there’s a triangle-ish shaped side panel that becomes the dart in the front of the pattern, wraps around your side, and then joins in with the back dart! To Mari’s immense credit, the instructions are actually very simple to follow and I didn’t have any trouble at all putting it together. As if that weren’t cool enough. Mari has also increased the cup size as she goes up sizes, so miraculously the 3XL fit my bust perfectly, and I graded down to 2XL everywhere else. You want more? OK, it comes with a *built in* sway-back adjustment (the center back seam is far from straight) which means it scoops into my back in a most pleasing manner. I made view B2, with the sweetheart neckline, which —- wait for it —- I scooped out a bit more. It’s finished with a facing, which isn’t my favourite type of edge finishing but there are really not many other alternatives for this type of neckline, and since I sewed it down at the seams it hasn’t done too much flipping. That’s a whole lot of innovation for a humble summer top, but it was so fun to do something a little different. There are all sorts of ways you could show off the crazy seam lines – they would show up really well in a solid colour with piping, and the potential for colour blocking is huge. On a side note: I was also rejoicing today because I was wearing shorts *and it wasn’t freezing*. 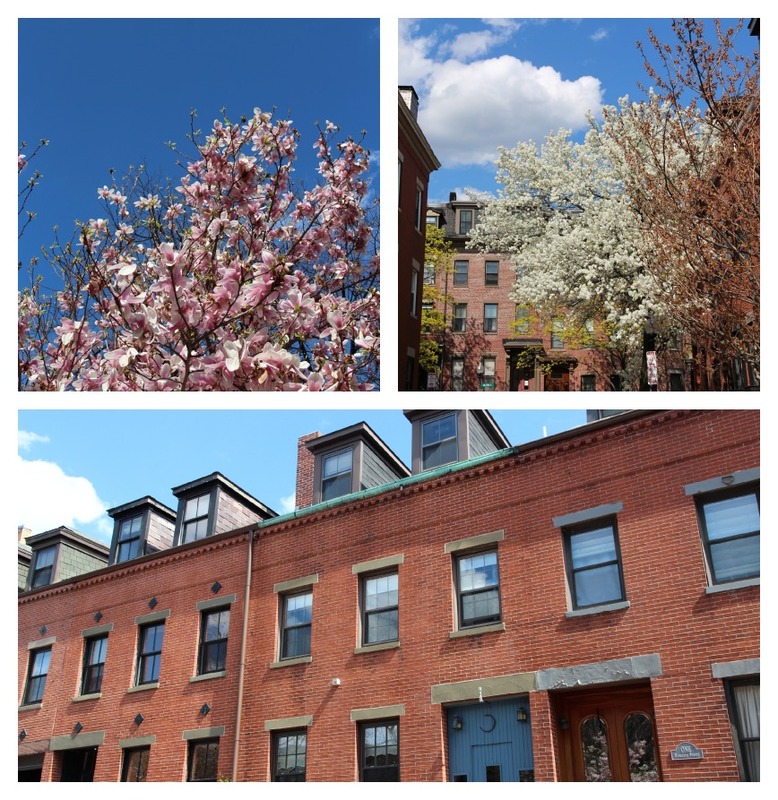 Yes, proper Spring has come to the South End, and the whole place is full of pink and white blossom. Joy! 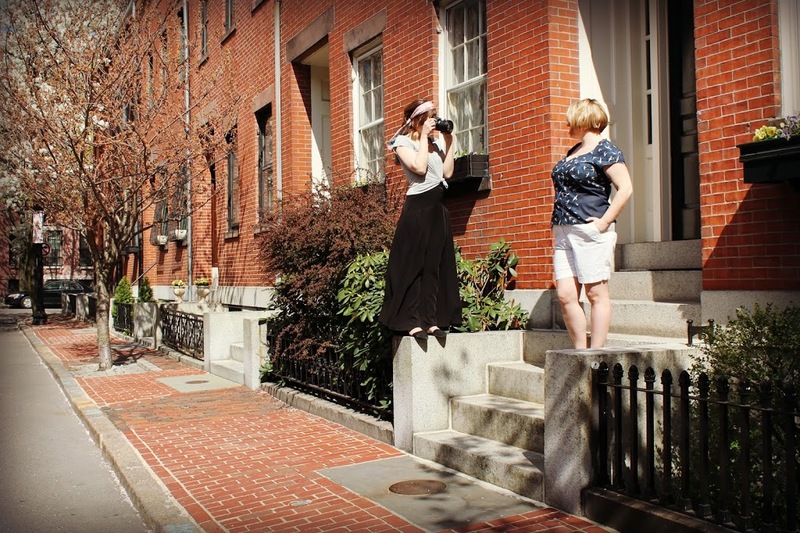 Lastly, thanks to my fellow Bostonian bloggy cohort Katy & Laney for the photos – we managed not only to climb all over the stoops of our neighbours, but also play hide and seek with Katy’s phone, have a near-miss with the garbage guys, and get catcalled from a passing car. All in a day’s work, ladies! 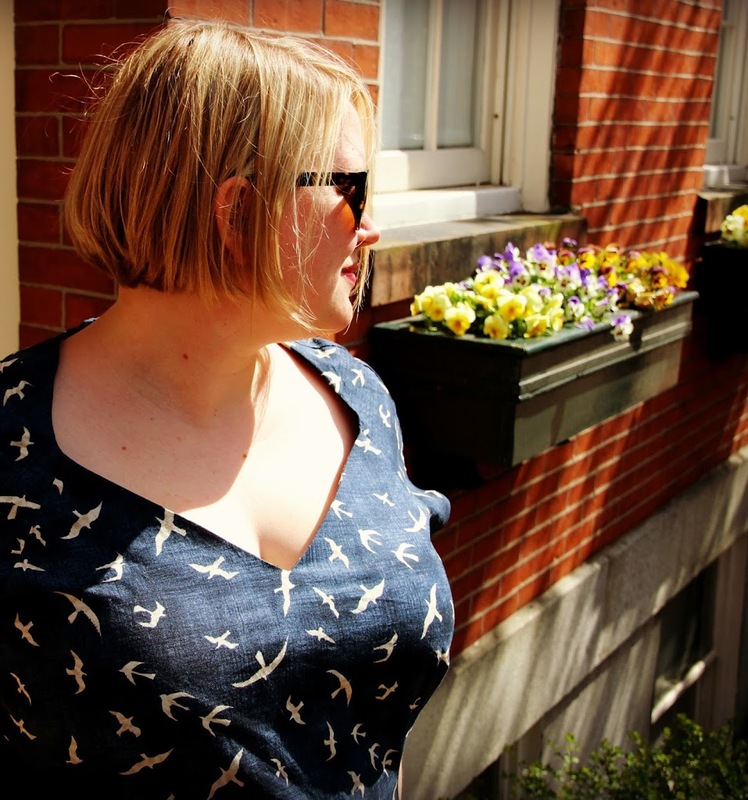 Have you ever made the Dandelion top, dear readers? Do you know any other crazily innovative patterns to add to your everyday casual wardrobe? 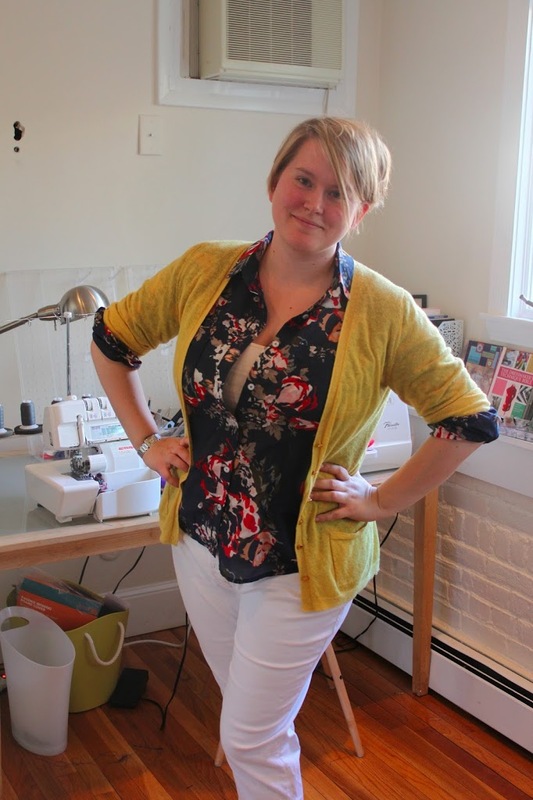 Are you sewing a Seamster Pattern for the Everyday Casual contest? I’m all ears! 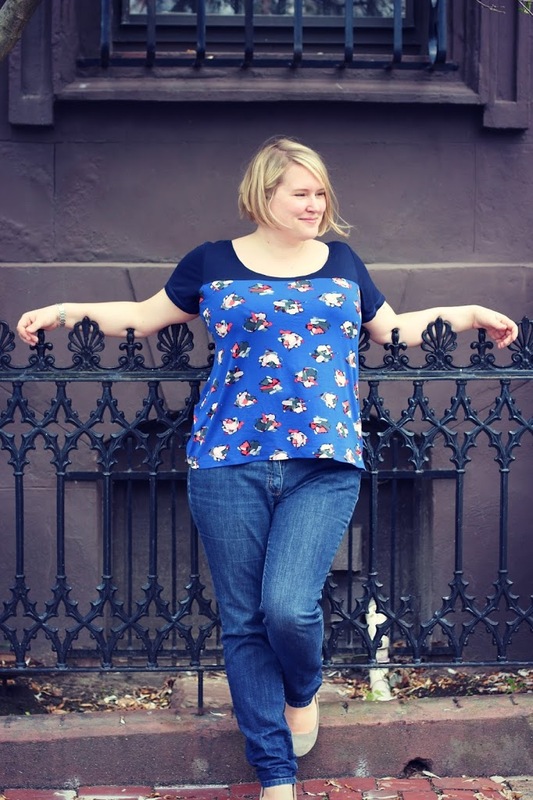 You can enter the Sew Indie Month everyday casual contest by submitting a link to your blog, Pattern Review or Kollabora on this page. Such a great top! I remember posting about it when it came out and I’m happy to see that it’s done to well! An innovative pattern I’ve used doesn’t come to mind, but I want to call out your innovative use of fabric. Printed cotton and stretch lace! You look lovely! Nice job! Your top looks great! I also have this as part of the PPP #1. However, I took a look at the pattern pieces and decided to wait. You have convinced me to take another look. This looks great! Love the print! 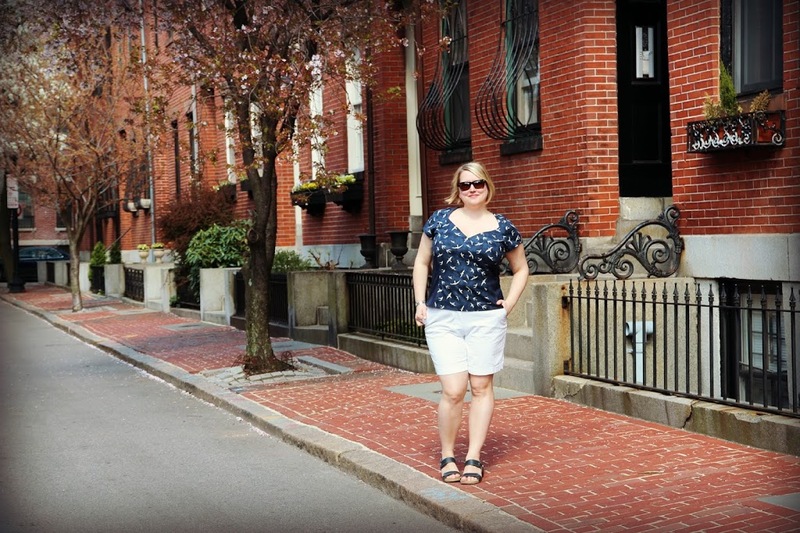 I was down in the south end with my daughter last week. Everything blooming! Oooh- I must have one of these! So many possibilities…. Such a cool pattern and a beautiful top! The pattern seems interesting (love the cup size resembling human sizes) and I love what you did with the color blocking. Totally cute! I’ve got this pattern from the PPP month, and I’ve always been intrigued by the construction. It looks so fun to sew, but I’m not sure I’d like the actual garment on me! Yours is gorgeous, I love the bird fabric. That’s really pretty. You have princess seams for shaping but raglan sleeves for comfort. Your fabric choices are splendid! I love what you say about this pattern so much that I am going to buy it. Thanks. I am curvy (very) and have a deep sway back which makes all my tops bag unless i make adjustments. A pattern designer who has thought this issue through… innovative! Your top looks incredible. i all love the photo shoot pic – fun. That’s great, let me know how it goes! Wowza! What a flattering top on you!! Big Seamster fan here! I adore this and the Rose Hip tights too – they’re both so clever and make for such a good fit. I love your contrasting side panels here, you’ve done a lovely job. 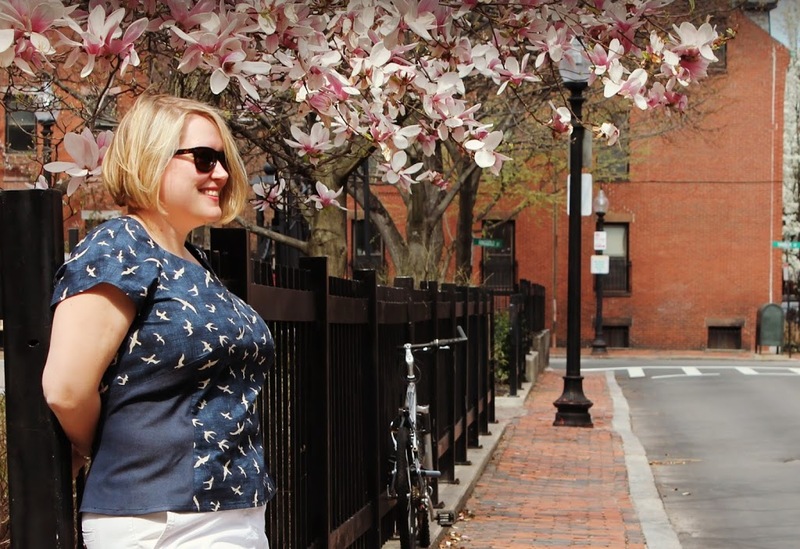 I didn’t realize you’re in Boston — I’m in Cambridge! We should meet! Nice top! The neckline is so flattering. Now I want to sew one too. That is such a cool top&dress, I really like the interesting seam lines! And I totally love your version. Birds! 🙂 Great photos, too! Cute top on you! I really like the fabrics you used! 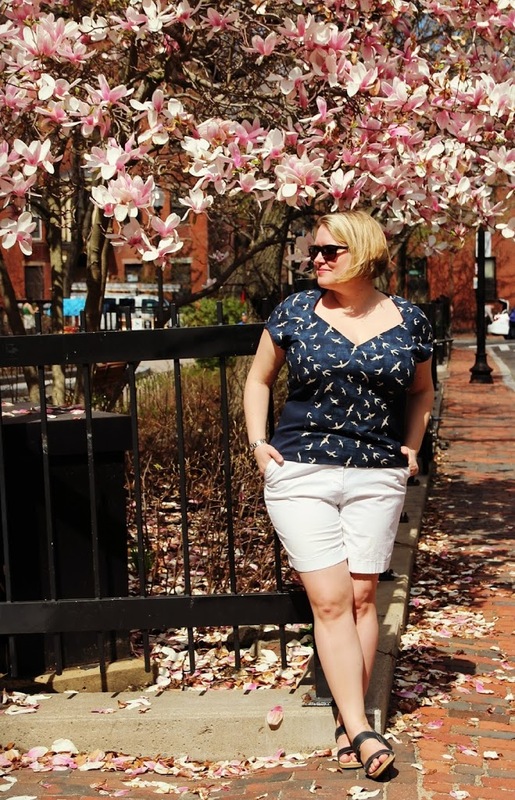 I loved making my Dandelion dress for the same reasons you mentioned – such interesting pieces and construction! I found it strange not to anticipate being finished. I would just be sewing along, and suddenly, it would be complete! 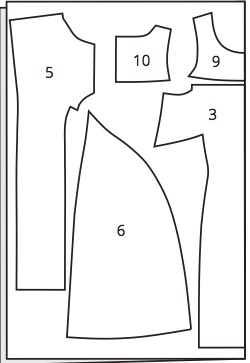 In a way, it’s a really nice pallet-cleanser from the standard sewing shapes.